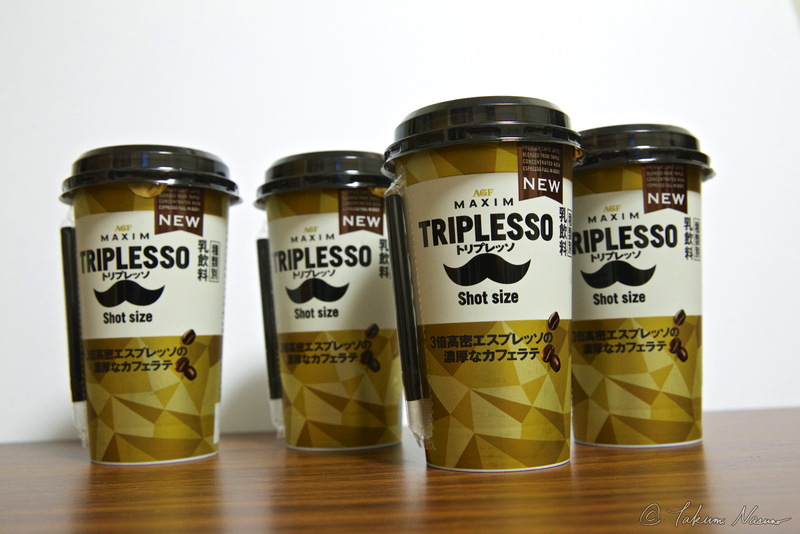 Many people are still worried about the lack of TRIPLESSO, saying like "No TRIPLESSO on sale" and "No production of TRIPLESSO on the official website" on online medias like Twitter. 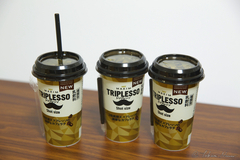 The fact is that only the 200ml chilled cup category of TRIPLESSO is in production so the bottle category of TRIPLESSO, which the majority of them are demanding, can not be found anywhere. 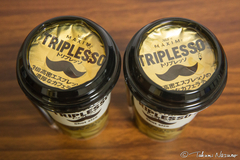 In my last-week's post, I wrote that only the supermarket of Sanwa sells the chilled cup category of TRIPLESSO while almost all the major channels do not according to my field work at convenience stores and supermarkets near my house. Afterwards, there is a new story. I found another channel which sells the chilled cup category of TRIPLESSO! This time I checked 6 new channels and found that BIG YOSUN, Ito-Yokado, AEON, Inageya and Maruetsu do now sell it. But I found that Summit Store does! BIG YOSUN : none ← New! Ito-Yokado : none ← New! AEON : none ← New! Inageya : none ← New! Maruetsu : none ← New! Summit Store : Available ← New! I found two franchise stores of both SANWA and Summit Store so they are at least not an coincidence of one store. I highly admire SANWA and Summit Store for selling TRIPLESSO now. 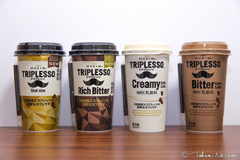 As one of the fans of TRIPLESSO, what I can do is to buy as much chilled cup coffee as possible through these limited channels, contribute to the sales of TRIPLESSO, and make the manufacturer recognize that there is a big demand for TRIPLESSO yet... I bought 4 again. 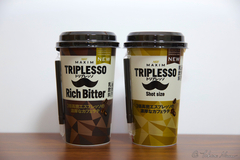 One possible story is that the manufacture is to announce something about TRIPLESSO following the continual announcements about other brands - Cafelatory, Blendy and Maxim after it changed its name to Ajinomoto AGF, Inc. in July 1, 2017. The announcements are highly likely to be influenced by its parent company, Ajinomoto, Inc. 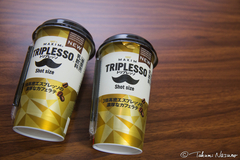 There is not yet any announcements about TRIPLESSO. They should have any new one, shouldn't they? 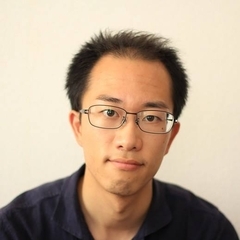 I'm looking forward to them.